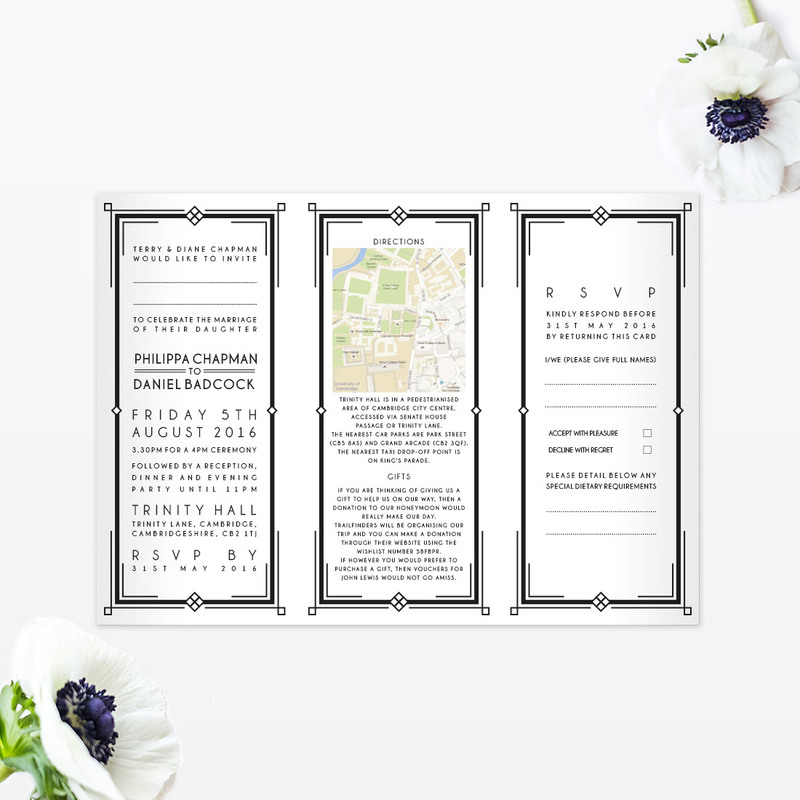 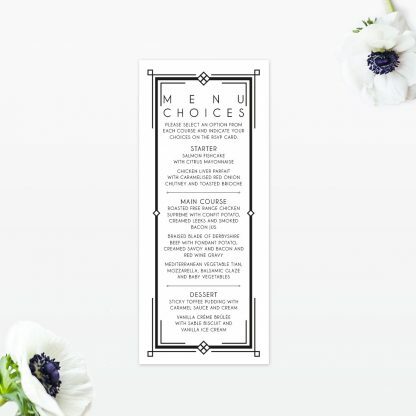 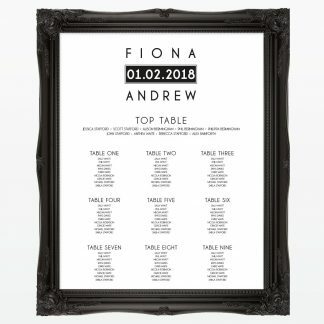 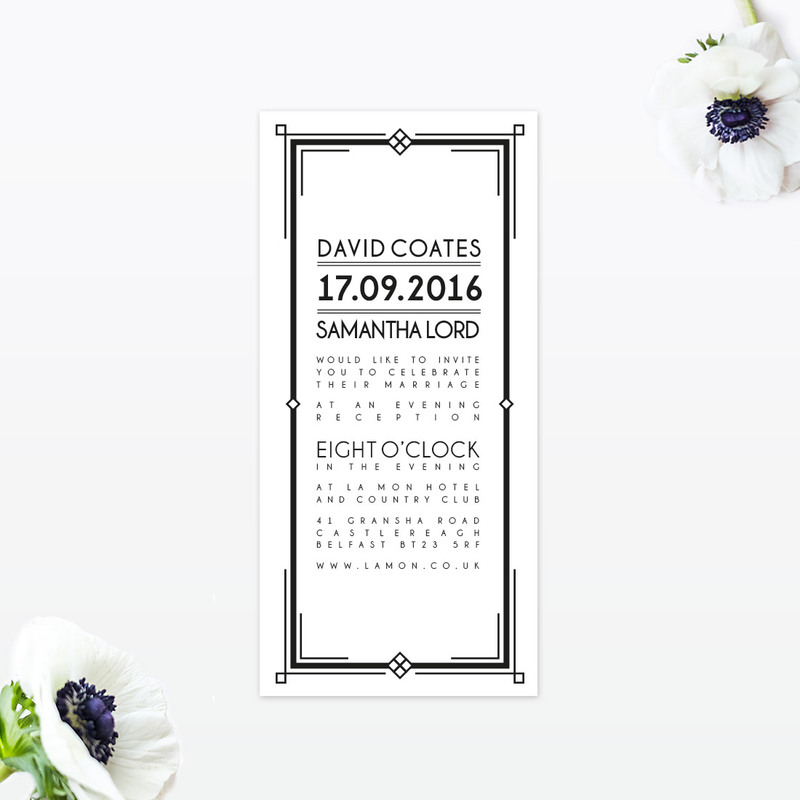 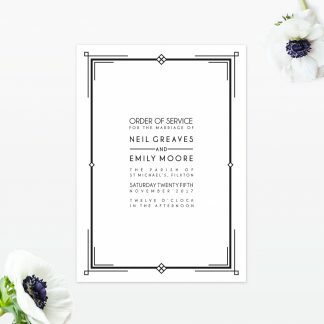 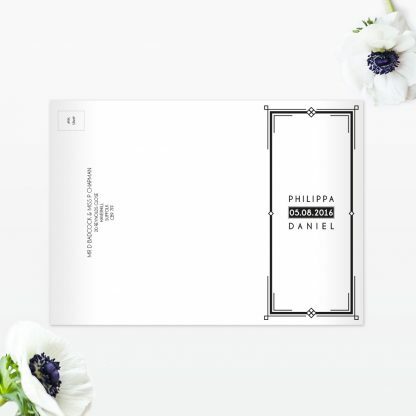 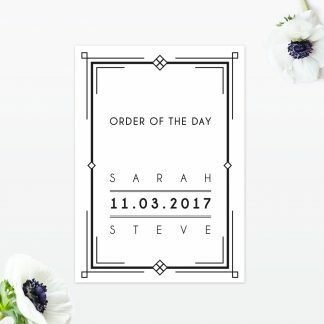 If your wedding theme is full of 1920s glamour and sophistication then our Art Deco wedding invitation in three format options are a perfect complement. 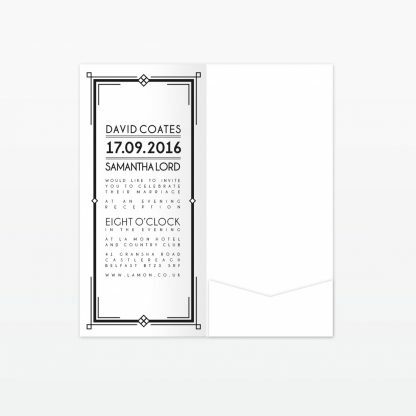 Suitable for Day and Evening Wedding Invitations. 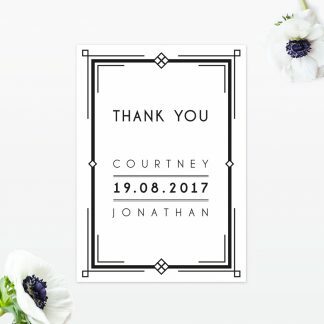 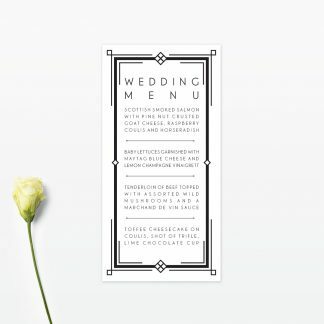 The 4 page Art Deco pocket folder wedding invitation is ideal if you need to provide your guests with important information such as accommodation, directions, gifts, menu options as it gives you the ability to include everything your guests will need to know while displaying it beautifully in a neat little pocket positioned on the last panel of the invitation. 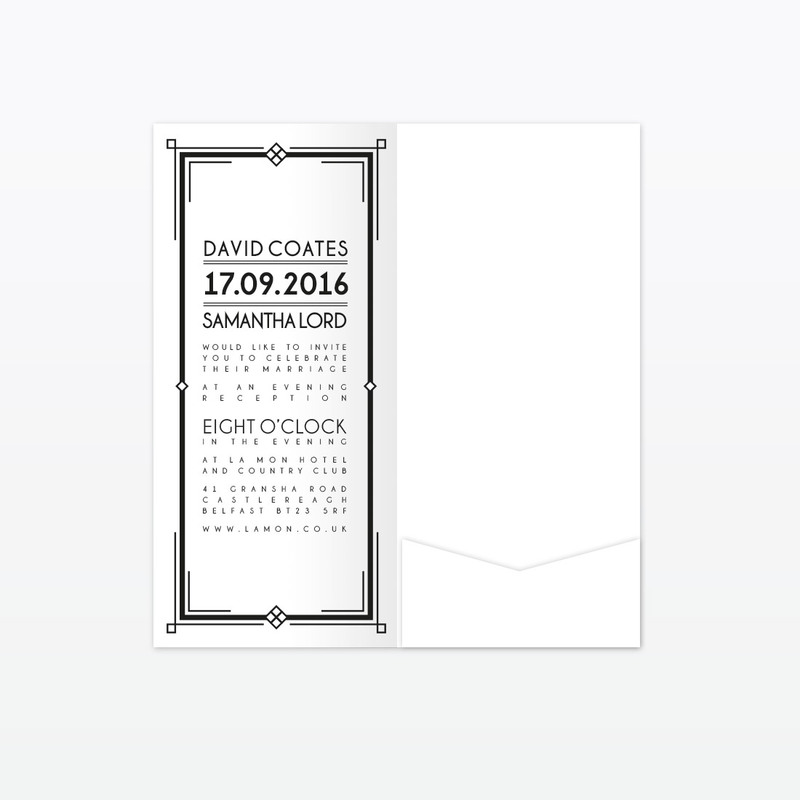 An alternative format to the pocket folder is this elegant 6 page folded Art Deco wedding invitation. 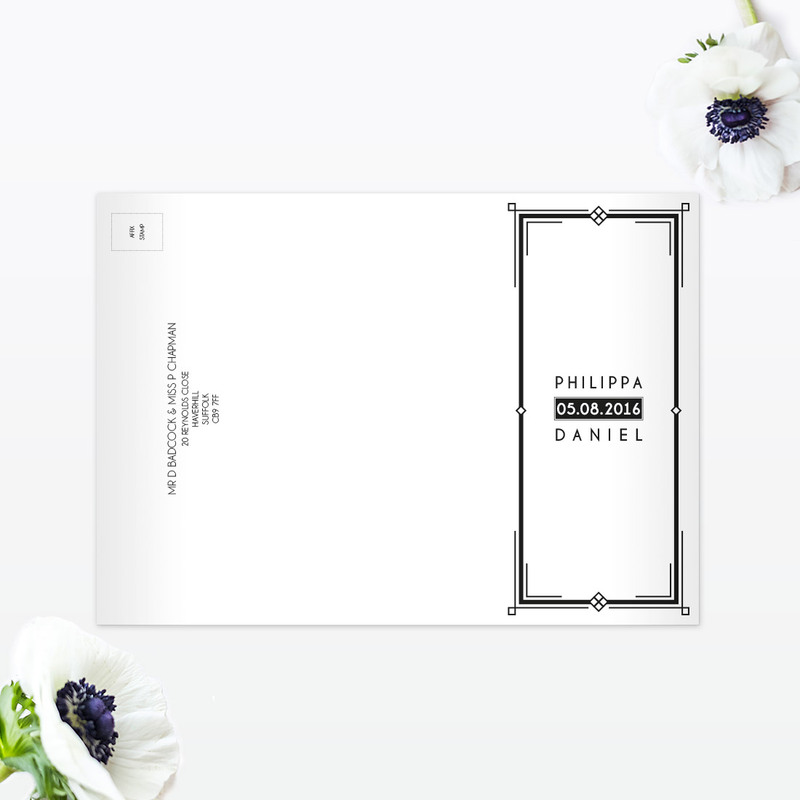 This format provides you with the space for all of your additional guest information without the need for separate cards. Also, the last page of the invitation is a tear off rsvp postcard, which makes it so easy for your guests to reply. 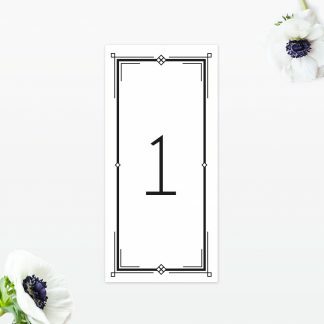 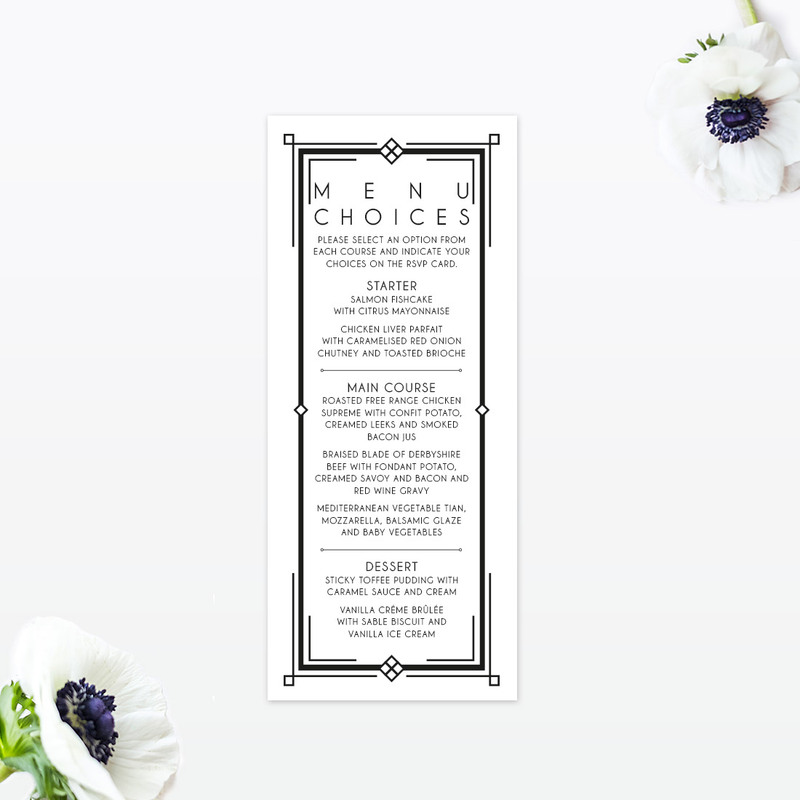 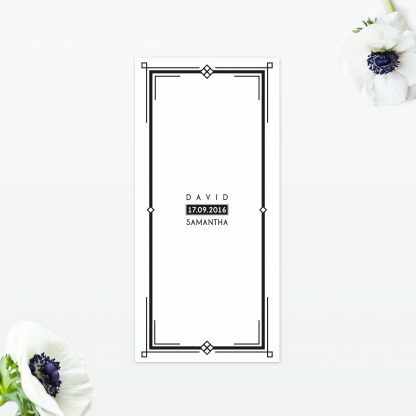 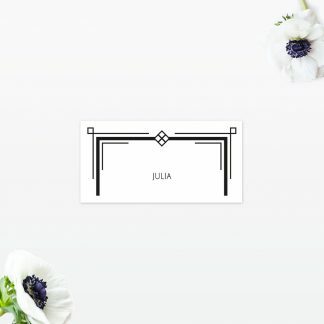 If it is the Art Deco glamour that you want, but would like to keep your invitation format simple, this double sided single card wedding invitation is for you.